The holy town of Rishikesh is located on the banks of the sacred river, Ganges. 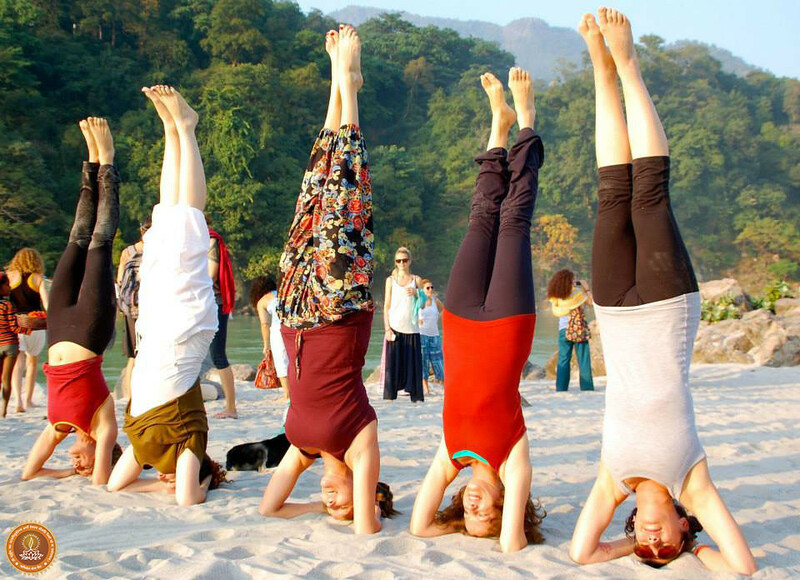 It is a city of pilgrimage since ancient times and a lot of saints visited Rishikesh to study yoga shashtras. Rishikesh is located at the foothills where the plains meet the mighty himalayas. 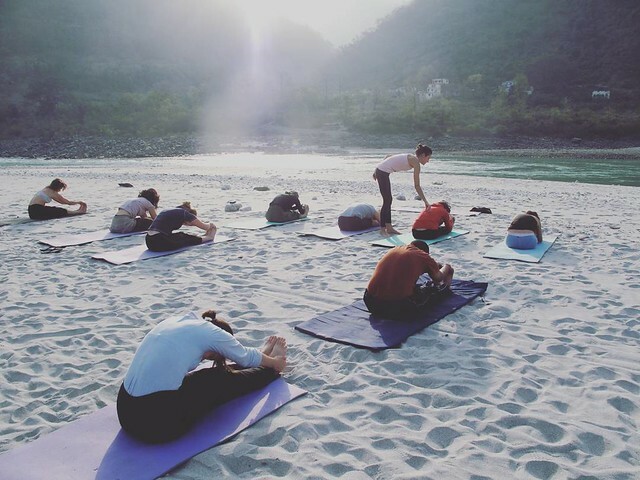 Today Rishikesh has become a popular yoga destination with a lot of Ashramas offering various courses in Yoga, Reiki and Meditation, thus bagging the title of the 'Yoga capital of the world'. Rishikesh is also a popular backpacker's destination as it offers a large number of adventure activities like river rafting, bungee jumping, cliff jumping etc. Rishikesh is easily accessible from New Delhi and Dehradun, capital of Uttarakhand.It is approximately 25 km from the city of Haridwar, another pilgrimage for Hindus and 43 km from the state capital Dehradun. The nearest airport to Rishikesh is New Delhi, and the nearest railway station is in Haridwar. Rishikesh is accessible from two routes. Rishikesh is flooded with Ashrams offering courses in Yoga and meditaion which can become a bit overwhelming for beginners. Finding the right yoga ashram could get tricky thus a good research is a must to save oneself from getting conned. The two popular hubs where these ashrams are located are near Ram Jhula and Laxman Jhula. Few ashramas also specialise in yoga forms for example Reiki, Ashtanga Yoga, Hatha Yoga, Kundalini Yoga etc. Parmarth Niketan, is one of the most popular and biggest yoga centers in India. 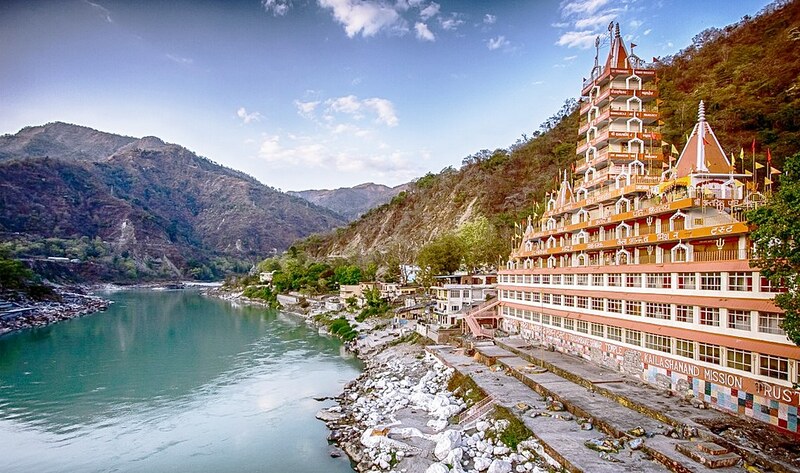 This massive eight acre ashram is located right on the banks of the holy Ganges river in Rishikesh . The campus is divided into different blocks with about a 1000 rooms. The rates of these rooms are different and depend on the single/shared occupancy and the type of the room. The ashram has a canteen and serves three meals everyday. The ashram offers both short term and long term yoga courses. Visitors can attend single yoga class by giving a donation and can also opt for rigorous teacher training courses The evening Ganga aarti is beautiful and should not missed by anyone visiting Rishikesh. Tattvaa yogashala provides teacher training courses in Ashtanga yoga, Hatha Yoga and short term yoga worskhops. The training courses are first come, first serve with advance reservation options. Tattvaa Yogashala is a certified Yoga School (RYS 200, RYS 300) by Yoga Alliance and is also certified by the government of India. The yoga course fee include accomodation (with attached bathroom )and two meals per day. The yoga school also provides other services like wifi, laundry. Sivananda Ashram is one of the oldest yoga ashramas in Rishikesh. Free yoga classes including hatha yoga, pranayam, and meditation are conducted everyday. The ashramas also provide free accomodation and meals but these offerings are available to spiritual seekers and need to be booked a month in advance. The ashram also runs a hospital within the campus. The Patanjala Yoga kendra of Omkarananda Ganga Sadan offers lessons in Iyengar Yoga. Daily yoga classes are provided for adults and children which do not require any registrations. For intensive yoga course, a regular practice of three years in yoga is recommended and requires advance bookings. The campus has a guest house on the banks of Ganges that provides single and group based accomodations. Yoga Niketan follows the Patanjali yoga shashtra to train the students. Online bookings can be made to reserve a yoga course. The ashram has about 100 Air conditioned and non-air conditioned rooms with attached bathrooms and have different tariff. Daily yoga classes are provided in the ashram except on Sundays. Besides yoga spiritual Q/A and lectures are also conducted within the Ashram. The ashram has a dining hall which serves three meals a day. Shiva Yoga peeth offers intense yoga teacher training courses. These courses include Hatha, Ashtanga & Vinyasa yoga. The ashram has about 53 rooms with attached bathrooms. Both the ashrams are situated on the banks of the river Ganges thus offering a beautiful view. Courses can be booked online and the cost depends on the number of hours (which can be 200 hrs, 300 hrs or 500 hrs). Arogya Yoga School is another Residential school offering teacher training courses spanning over 100 Hour, 200 Hour, 300 Hour and 500 Hour. These courses are curated to give the students training in Hatha and Ashtanga. The payments can be made online and the tariff depends on the hour programme chosen. The fee includes single Accommodation, daily nutritious vegetarian meals and herbal tea, weekend excursions , course materials (books, yoga mat, cleansing kit). Morning Yoga Class near Holy Ganga River. 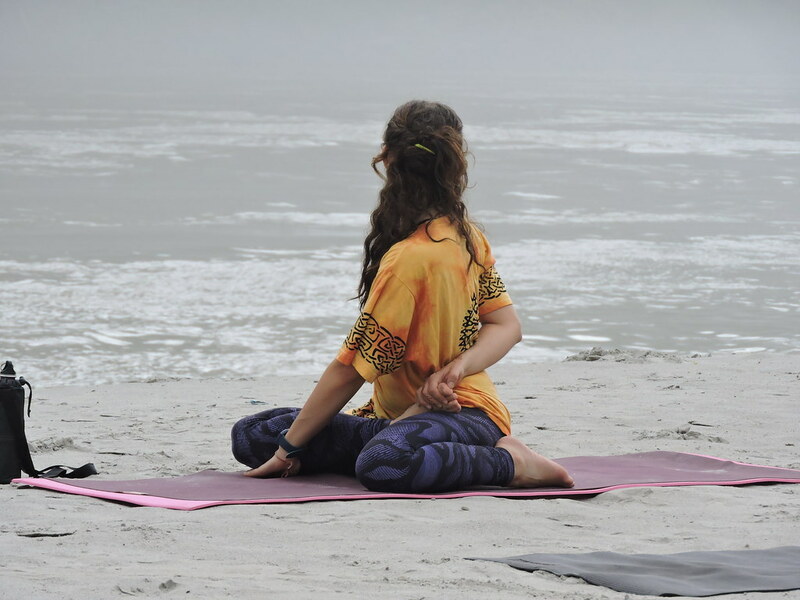 In addition to Yoga teacher training, Maa Yoga Ashram offers Ayurveda Retreats, Ayurvedic Treatments,and Panchakarma. The courses span over 200 hour, 300 hour or 500 hours and include Yoga Teacher Training, Yoga Books,Patanjali Yoga Sutras,Yoga Anatomy and Physiology,Organic, Ayurvedic and Delicious Meals. The accommodation includes a private rooms, 3 organic meals, meals, 2 theoritical classes and 3 practical classes everyday.